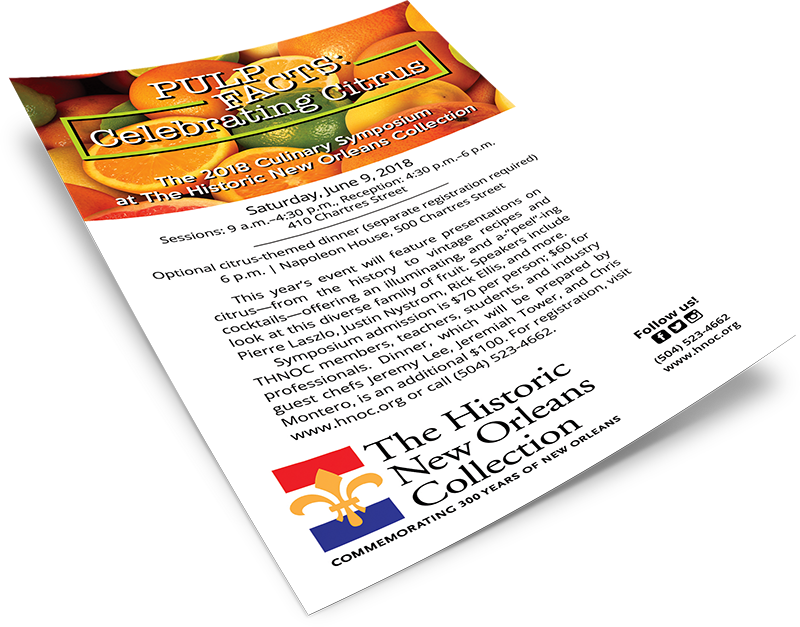 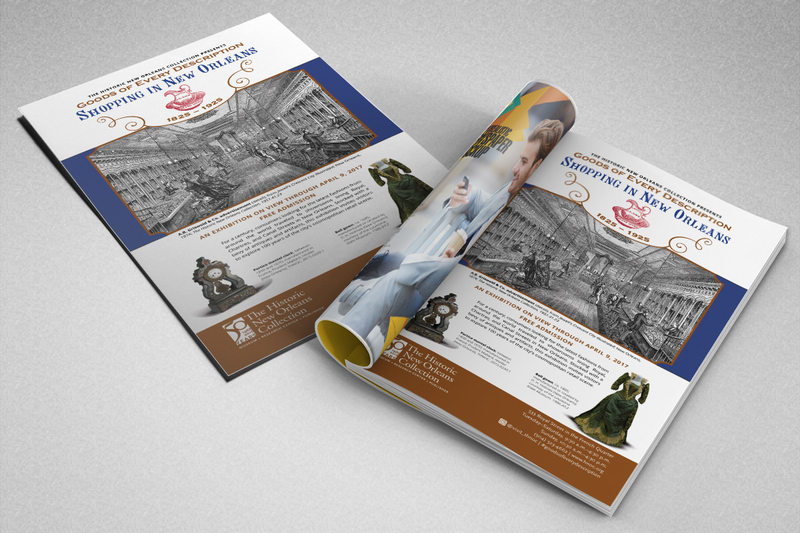 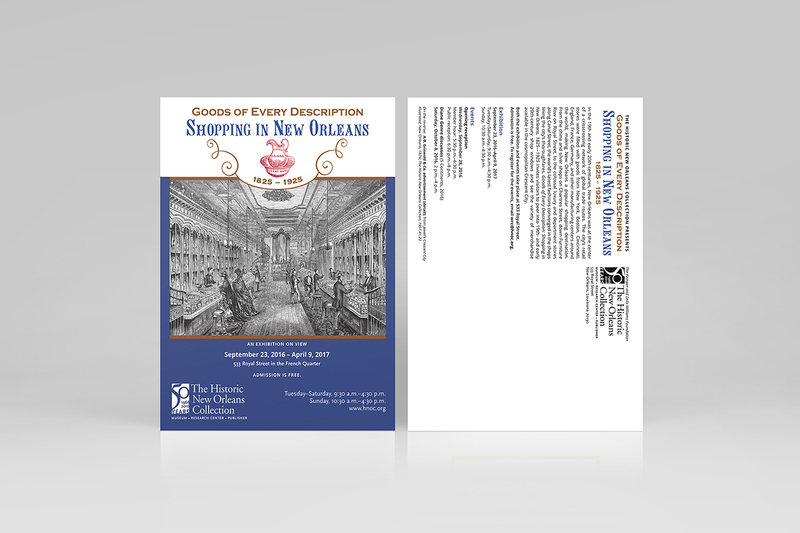 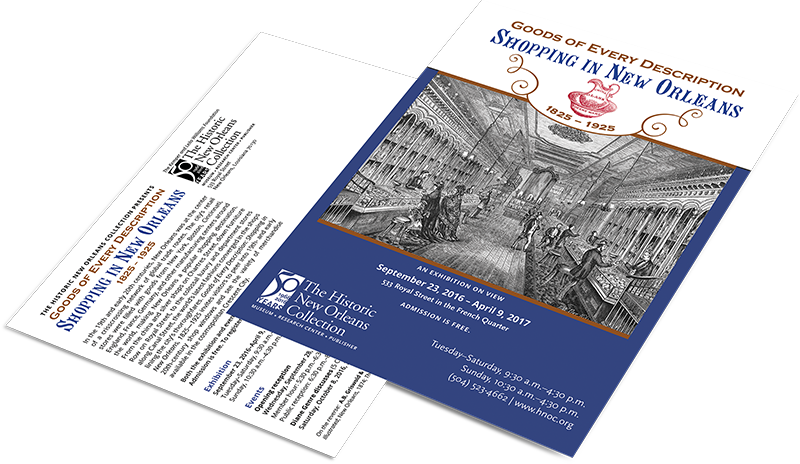 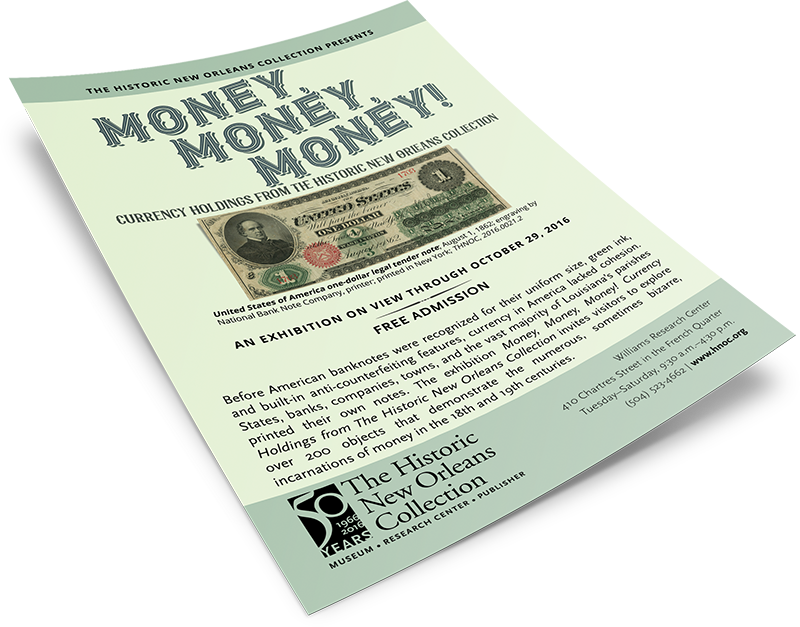 Since 2015, Midnight Boheme has held the honor of designing a variety of promotional collateral for The Historic New Orleans Collection and its venues including The Shop at the Collection, the Williams Residence, and the Laura Simon Nelson Gallery for Louisiana Art. 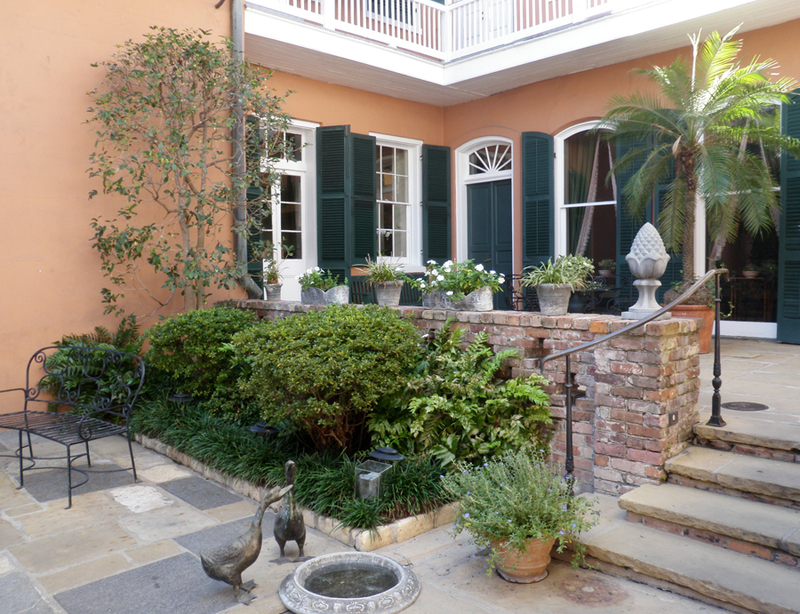 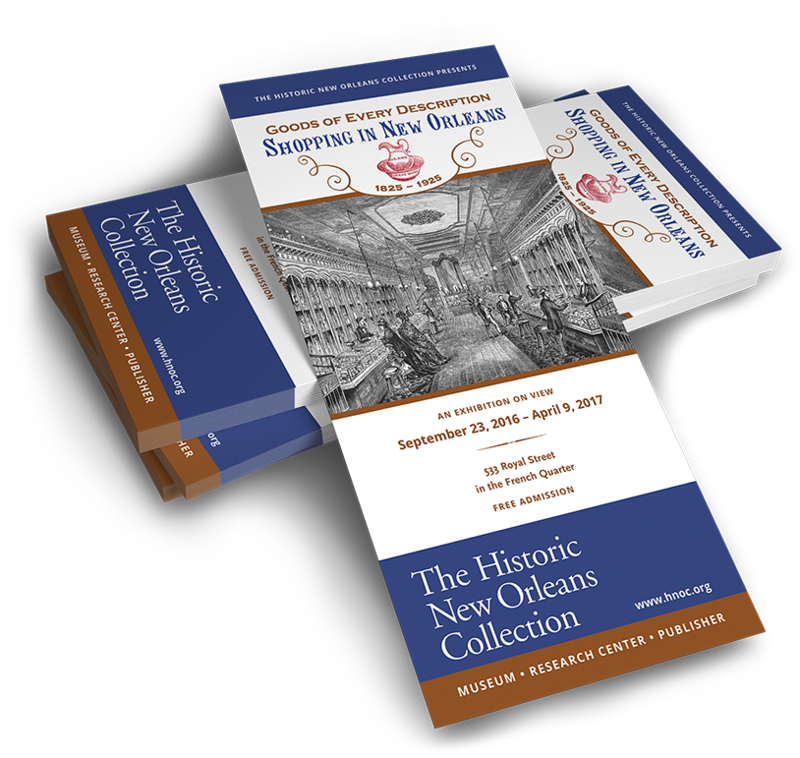 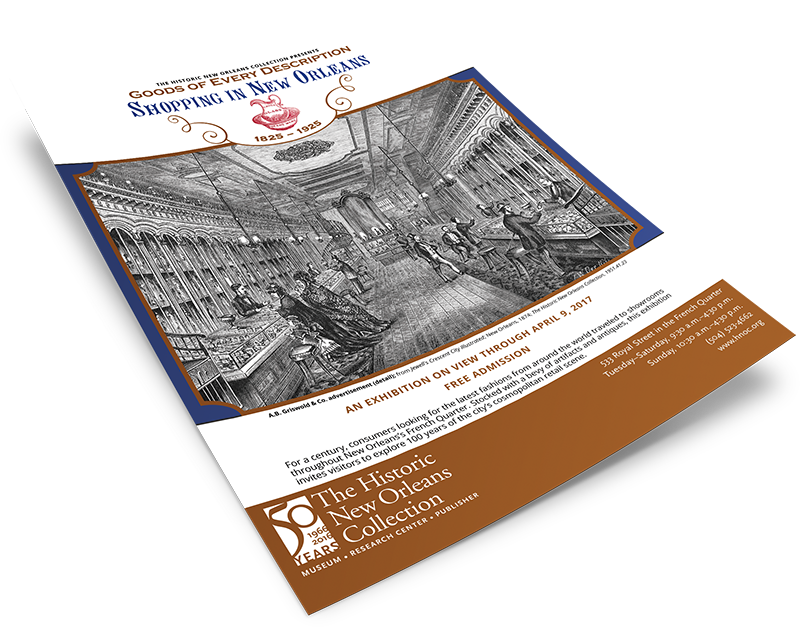 The Historic New Orleans Collection is a museum, research center, and publisher dedicated to preserving the history and culture of New Orleans and the Gulf South. 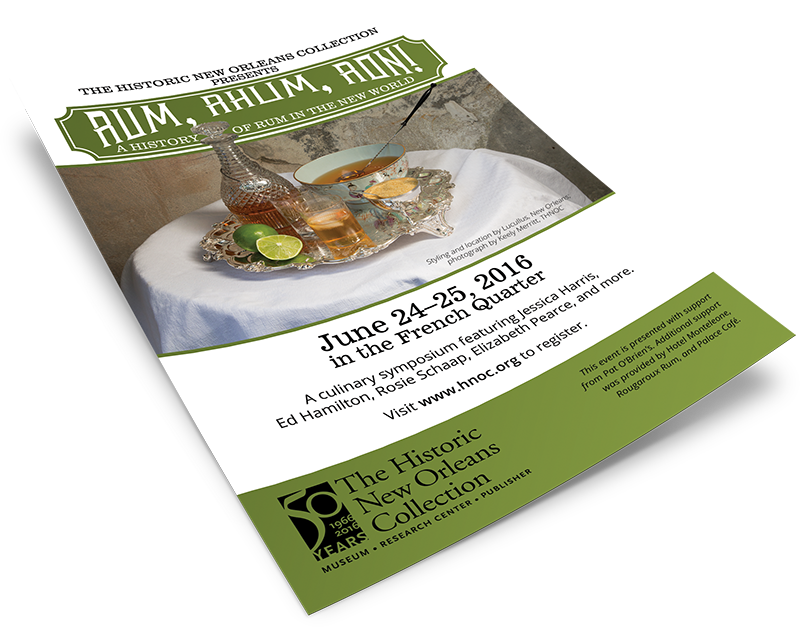 To work with The Collection has been an honor and privilege for designer Laura Kuhn who has always admired the museum and has dedicated her adult life to learning the history of New Orleans, Louisiana. 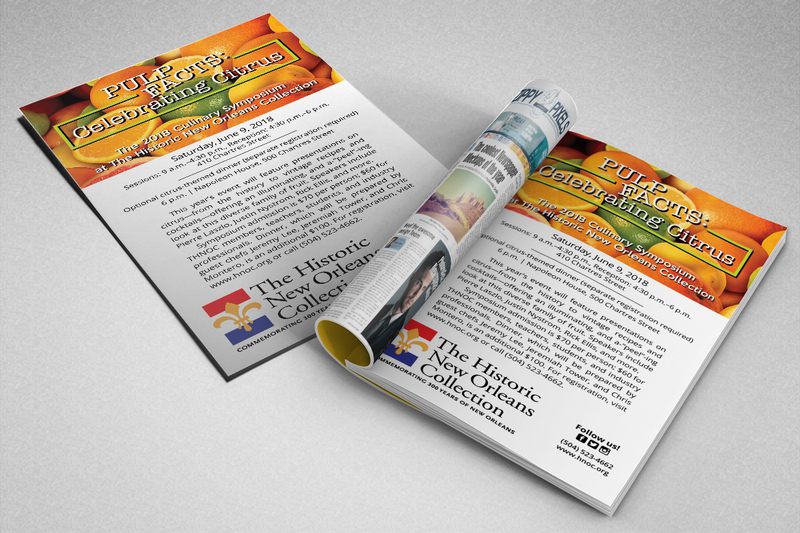 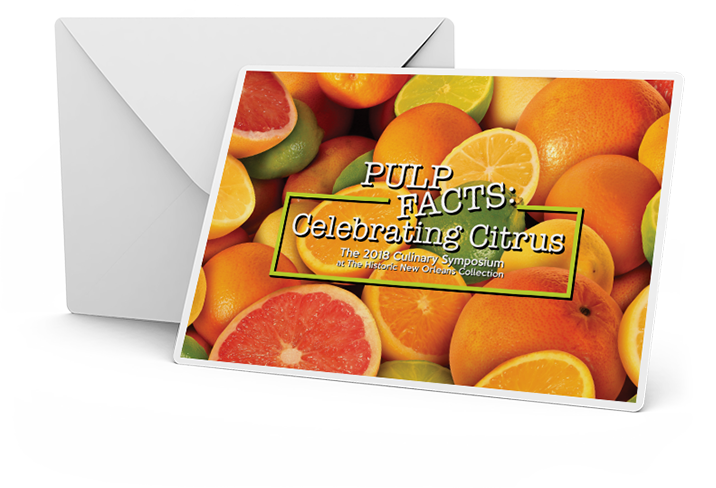 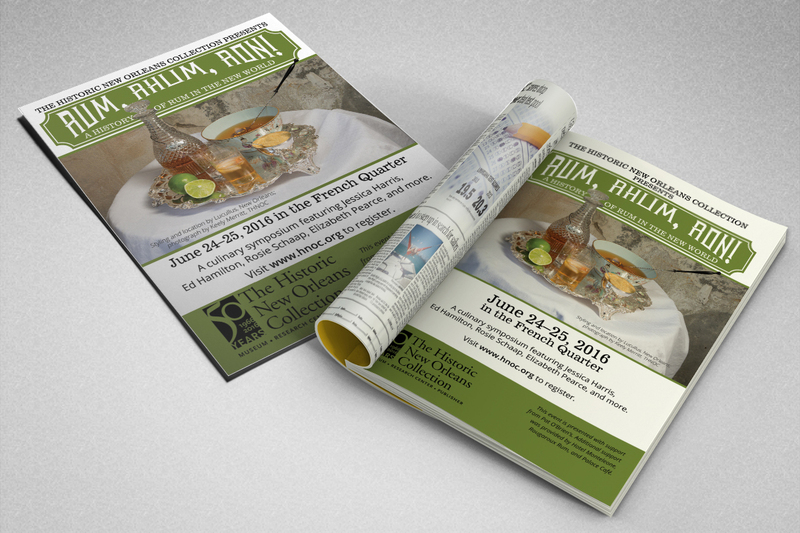 Designing rack cards, postcards, print and digital ads, Midnight Boheme has had the pleasure of working with the HNOC's marketing team to create campaigns such as "Awash with Color" a Louisiana Watercolor Paintings Exhibit; "Pulp Facts: Celebrating Citrus" as part of the culinary symposium; "Money, Money, Money!" 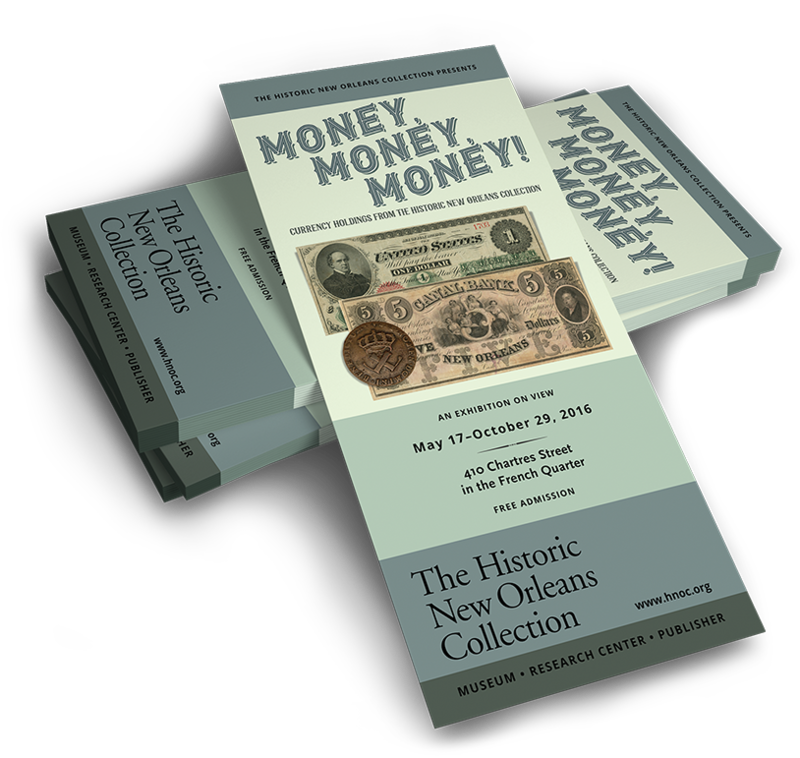 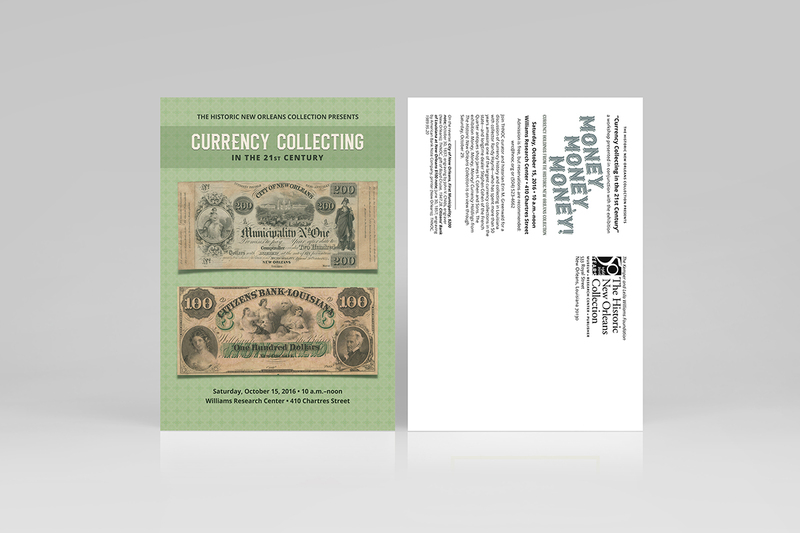 a showcase of the Collection's currency holdings; "Rum, Rhum, Ron!" 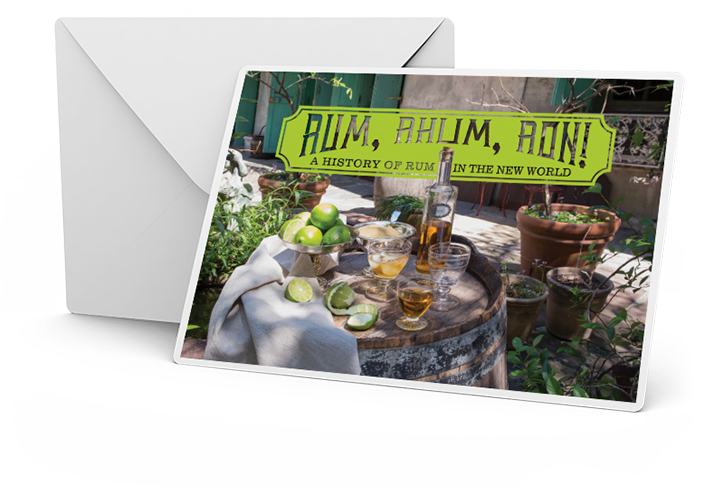 a history of rum in the New World; and "Goods of Every Description: Shopping in New Orleans".  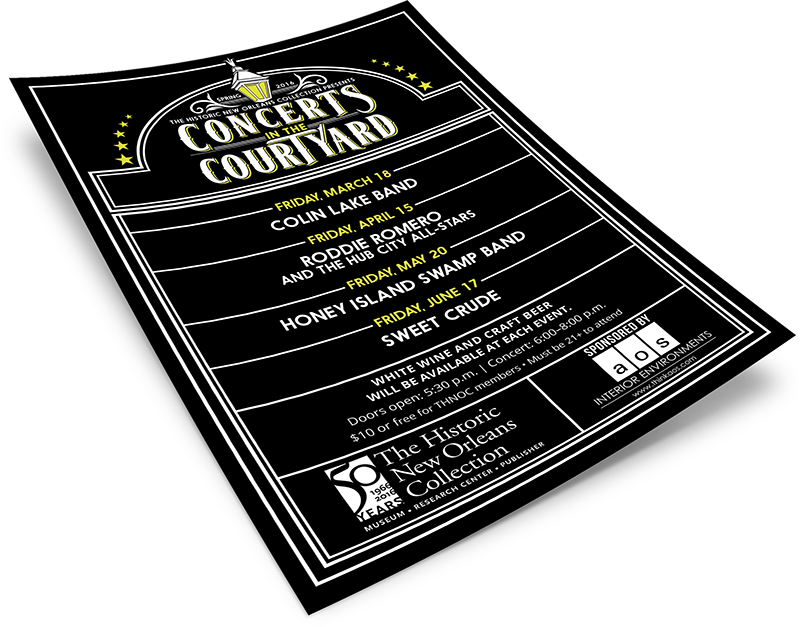 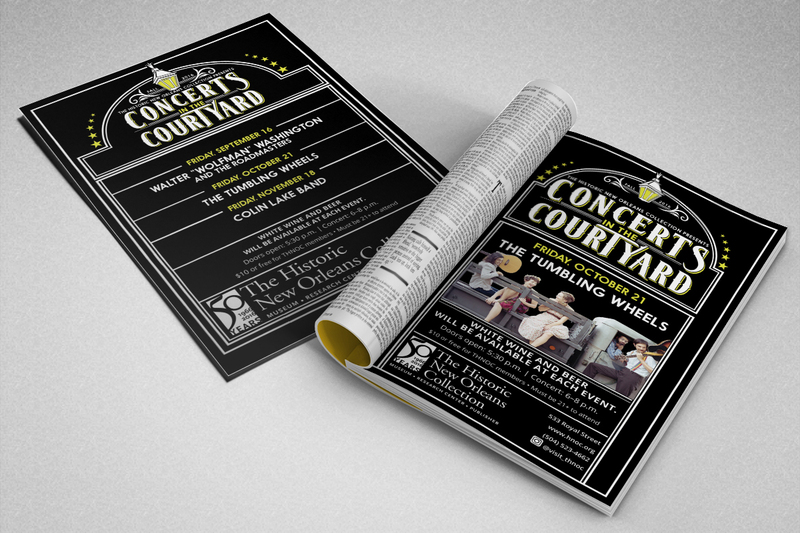 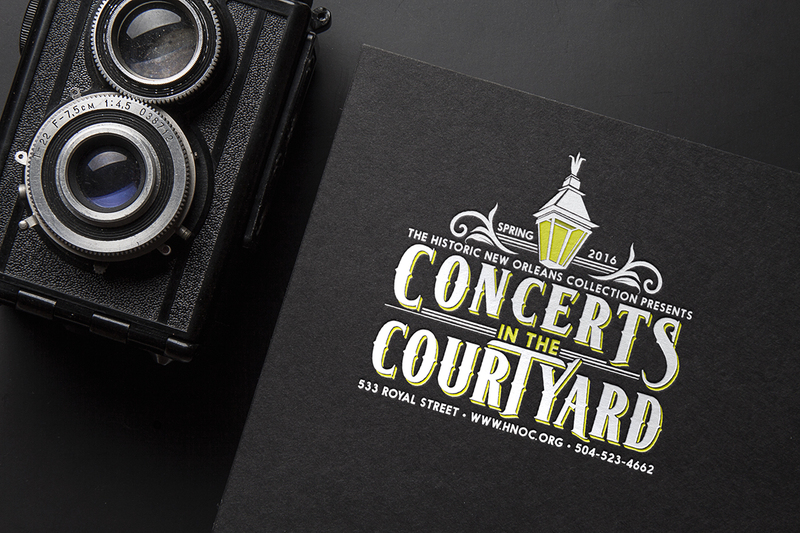 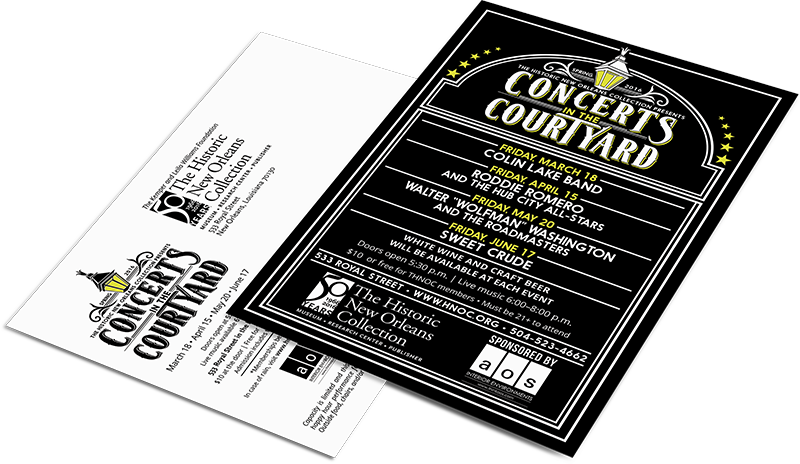 Most notably, Midnight Boheme developed the new logo and collateral for the seasonal special music event, "Concerts in the Courtyard" for each spring and fall since 2015. 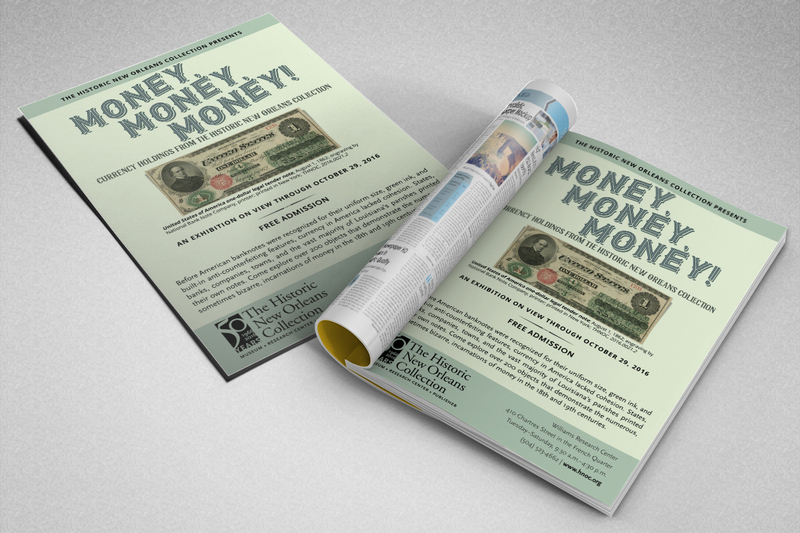 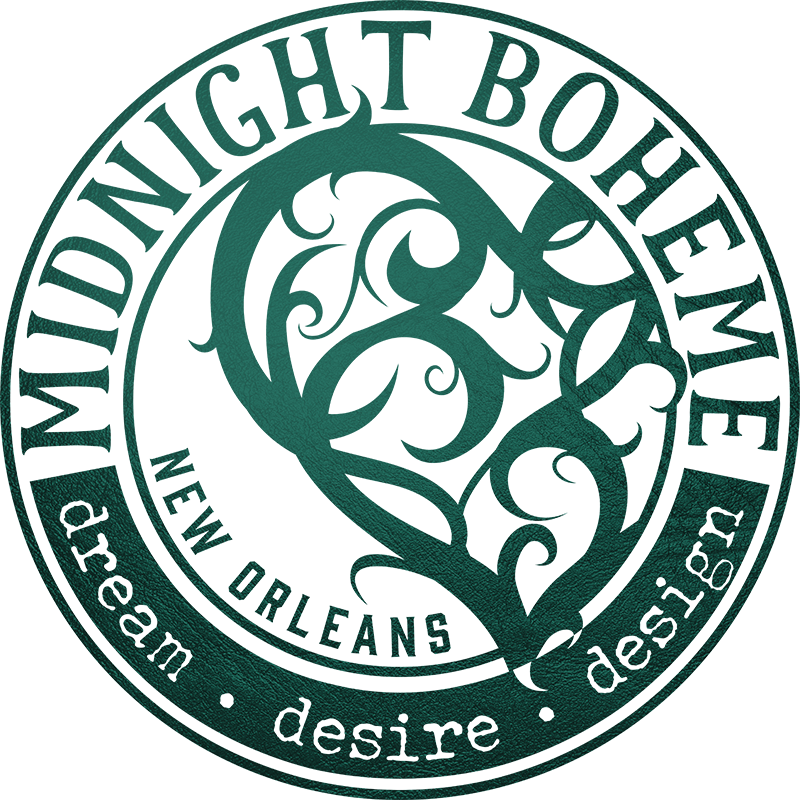 Using stop motion-like effects in this brief spotlight video, Midnight Boheme worked with The Historic New Orleans Collection's marketing department in developing a social media campaign to promote a special event entitled "Bourbon & Bidders!" 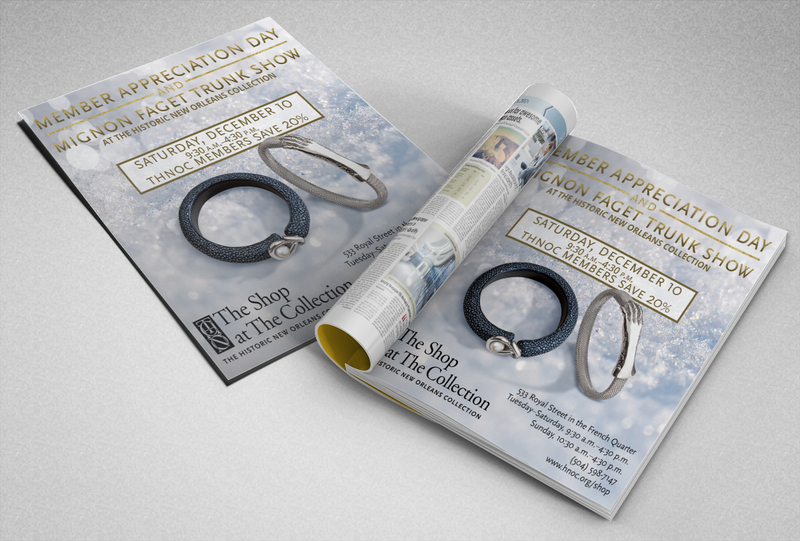 Each December, The Historic New Orleans Collection celebrates its members with an annual Appreciation Day along with a trunk show for Mignon Faget. 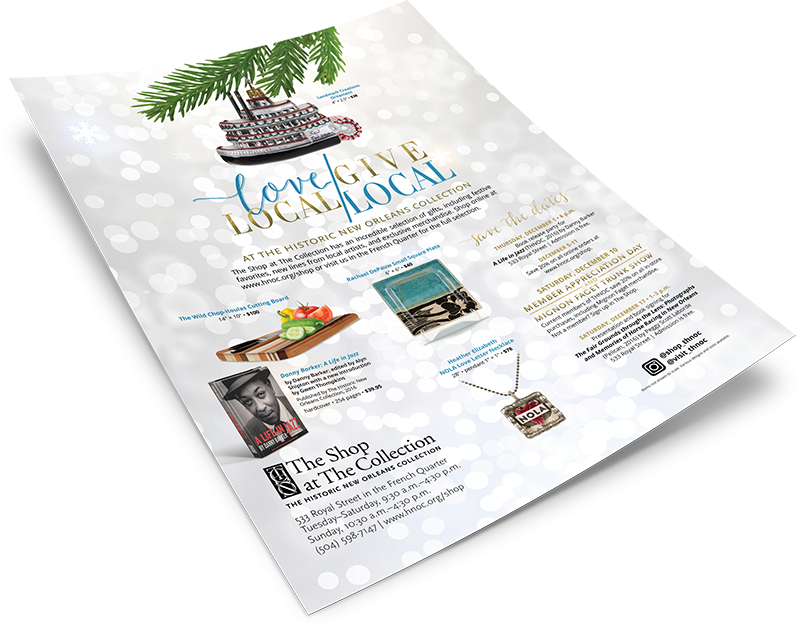 The glamour jewelry of the Louisiana jeweler are featured in the postcard and print advertisements designed by Midnight Boheme with a holiday-esque theme for each year presented. 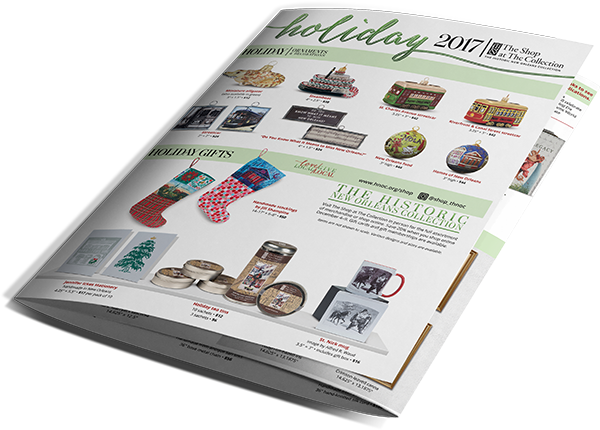 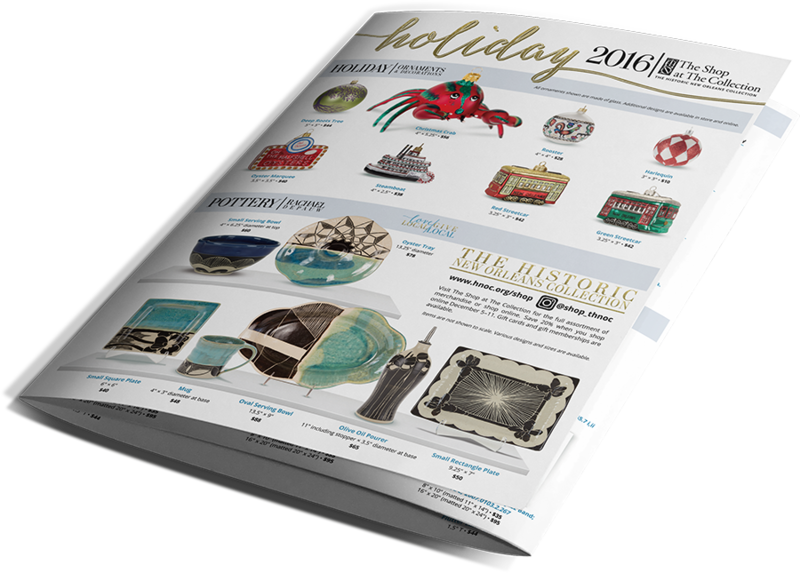 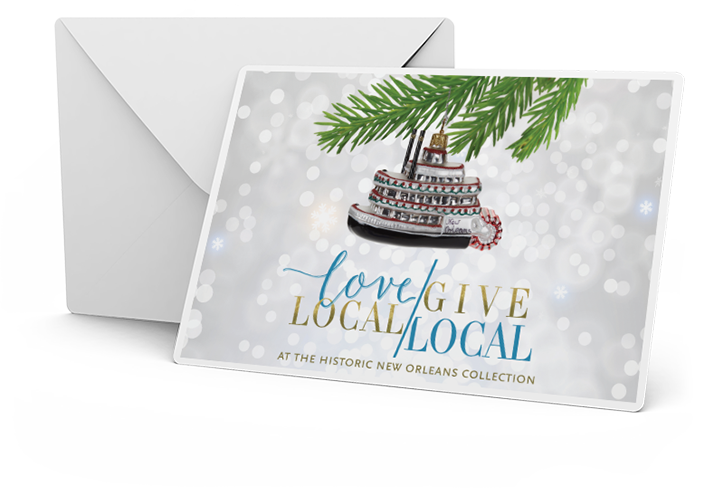 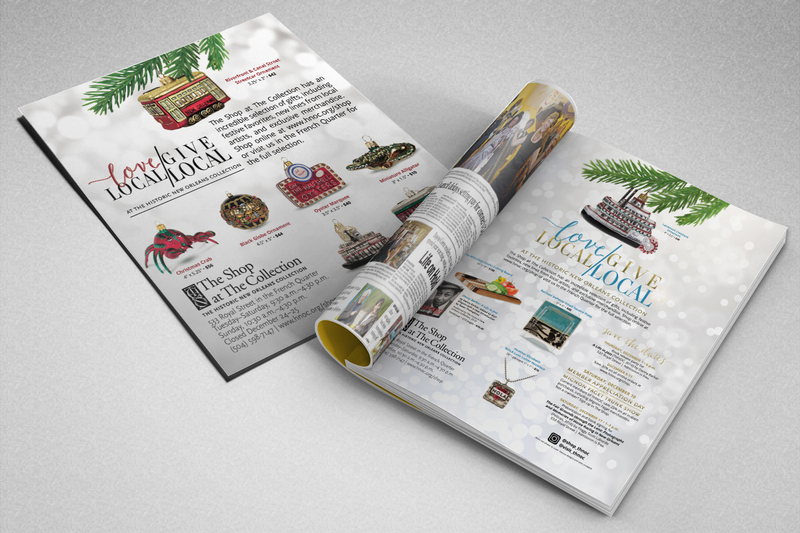 Since 2015, Midnight Boheme has devoted each Thanksgiving break to creating The Historic New Orleans Collection's annual Shop catalog which mails out to all members of the Collection and features locally made items perfect for holiday gifts.